Save the date! 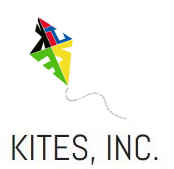 – KITES, Inc.
Home » Uncategorized » Save the date! Everything is better when shared with friends… even STEM! The KITES Festivals have been so much fun, and now we are sharing the fun with our friends from G.A. Towns Elementary. SAVE THE DATE for the 5th Annual KITES Science and Engineering Festival! Questions? Contact Marlene Reynolds at reynoldsmarl [at] kitesed.org. ← Georgia Tech K.I.D.S. Club Still Accepting Students!